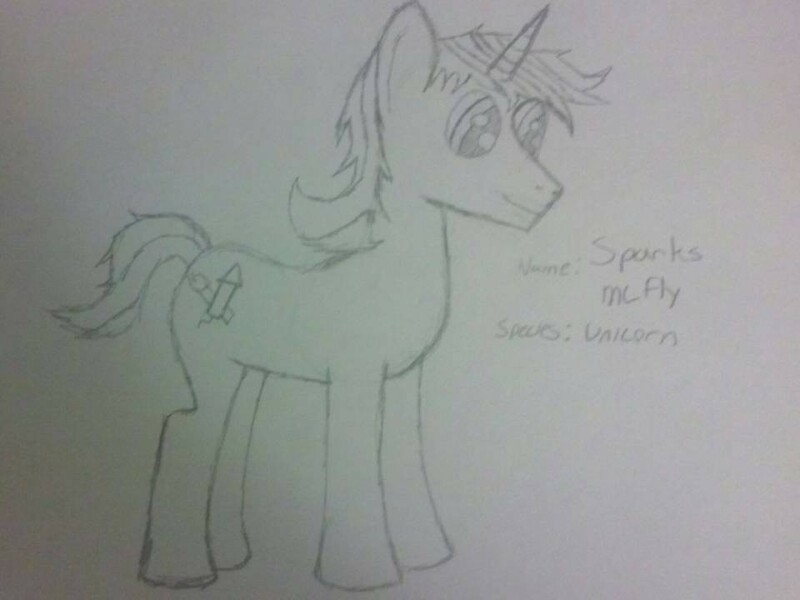 This is Sparks McFly. He is my mlp oc, and he is a unicorn. He loves to eat donuts, and set off fireworks. He's kinda a WIP, so there may be some edits and changes in the near future. Hope you all enjoy my art!